I also realised that Uniyal’s piece, contrary to my belief, hadn’t prompted editors to introspect. To celebrate the dawn of the new millennium, The Pioneer invited Uniyal to write for its eight-page Dalit supplement. He asked them to run the piece he wrote in 1996 with the following lines: “The article…was totally ignored by our journalistic establishment… None felt aghast or alarmed at the situation described in the article…No one felt there was a need for making special efforts to draw qualified Dalits into the media.” These anecdotal accounts and Uniyal’s expression of dismay deepened for me the mystery of where Dalit students passing out from the IIMC wind up. Do they all choose not to enter the media? Where do they go, then? — Many Dalits enter the media because they believe it can empower their community and help focus on issues hobbling them. — Dalits have a greater presence in the Hindi or other Indian language media than in the English media. — Discrimination against and antagonism to Dalits is rampant in the Hindi and other language media; it is less pronounced in the English media. — Nonetheless, discrimination is a principal factor behind their decision to leave the private sector media and opt for government jobs. — Apart from discrimination, they feel a career in the media is a risky proposition. — Their weak economic base makes them fear job insecurity which is a defining characteristic of the private sector. To IIMC also came, years earlier, from Bihar’s district of Gopalganj, Ashok Das, who edits a little magazine, Dalit Dastak. His life, you could say, was lived simultaneously in two separate compartments – his friends in school and college were all upper caste, but in the Brahmin colony his family resided in, his father, a clerk, was served tea in a tumbler different from others. The prasad, or offerings, of the satsang his mother organised at home, and which Ashok would distribute in the colony, was invariably found in the litter bin. “I joined the media because I realised early the power of pen,” he told me, as we sat in the Costa Coffee shop in Delhi’s Bengali Market, the aroma of coffee, the glass-paneled walls, and pastries and patties providing a contrasting backdrop to the reality of his youth. When in Class XII, perturbed at the floods ravaging Gopalganj district every year, he wrote to the director of a Delhi-based NGO, wondering what measures the people could take to alleviate their plight. Not only did the director reply, he even came down to Gopalganj and handed him at a public ceremony a cheque of Rs 15000. Hail the Power of Word, through which you can sway people whom you have never met or spoken to. 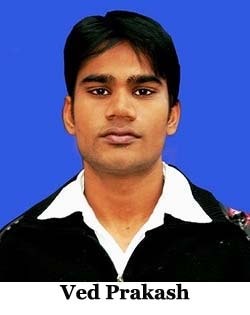 It inspired Ashok to take the IIMC entrance examination after graduation. When Ashok came to Delhi in 2005, his official documents gave his surname as Kumar. He was not Ashok Das then. Perhaps his father had registered the surname as Kumar in the hope of concealing his caste. In years to come, the ambiguous surname would elicit suspicious inquiries, as also invite discrimination in the media, goading him into rediscovering the activist lurking inside him. On the map of India, from Delhi, push west to reach Mahwa tehsil, Dausa, Rajasthan, where Satyendra Murli, who passed out from IIMC this year and has been recently recruited by Hindustan, grew up. In his hometown’s bucolic surroundings he witnessed caste-related discrimination and oppression: his mother and sister were dragged by their hair out of the local temple; and those of dominant castes would call Dalits by their caste names in abusive ways. It was here he and his schoolmates drank water from the pot reserved for the headmaster, but it was only he who was singled out for punishment, which entailed him squatting on his haunches for 30 minutes, lace his arms between his thighs and calves, and hold his ears. He was, to use the colloquial term for it, made a murga. It was because of these experiences he became inclined towards organisations engaged in the issues of human and civil rights. Exposure to them inspired him to enroll, after completing his graduation, for Masters at the Centre for Mass Communication, Jaipur. Simultaneously, Satyendra began to work for the media in Jaipur, and encountered in the newsroom the deadly virus of discrimination. 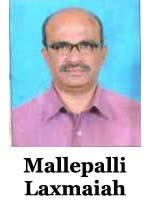 Skate down the map of India to meet Mallepalli Laxmaiah, who is a Telugu columnist of repute, worked for several media outlets, and established Dalit Study Centre. When Laxmaiah was two years old, the landlords of his village, Janagaon, in North Telengana, killed his uncle for insisting on the right of every villager to sit in a special enclosure, under the shade of a tree, which was exclusively reserved for them. His uncle acquired the status of a folk hero in the surrounding villages, for defying the landlords. This story inspired Laxmaiah to resist the oppression of his community and joined organisations adhering to Leftist ideology. In 1987, at the age of 26, he was picked up under the draconian TADA for being part of the CPI (ML). On his release a year later, he faced the dilemma of selecting a career that could provide him a livelihood without steering him away from activism. He chose journalism over pursuing the legal profession, as to become lawyer he’d have to study for a few years more. In Hyderabad also lives Chanti Kranti Kiran, who is the Input Editor of V6 News, a TV channel that Dalit Congress MP G Vivek owns. Its world is the inverse of media outlets you find generally. For instance, you can count in V6 News Brahmins and Kamma employees on your fingers and perhaps still not reach the number 10. But Kiran’s wasn’t a smooth, straight journey to V6 and, as is true for so many other Dalits, he too encountered speed-breakers and precipitous turns. Imparting lessons in courage to Kiran was his father, a schoolteacher and social activist who worked with SR Shankaran, the legendary IAS officer. Among the tasks entrusted to Papa Kiran was to click photographs for documenting evidence against public places practicing untouchability. On these field trips Kranti Kiran went for the first time when in Class XI, learning that segregated social arrangements were neither legal nor humane. Considering his background, it seemed natural for him to participate in movements for Dalit and civil rights, and then to enter the media, which lull the conscionable into believing that their efforts are a blow, however light, for social justice. Till then, Kiran had fought for the dignity of others; in the media he was to fight for his own. These six men of different ages, growing up in different decades, residing in different regions of the country, were led through their interface with the society to accord infinitely greater salience to one of the many identities they, as all of us, have. That was their Dalit identity, and the consciousness it engendered propelled them inexorably towards the media. But ask the question: would these men have had a different sense of their selves had their fathers been clerks or officers in a metropolis? Would the city-life have facilitated their escape from the web of caste with their wings fluttering? Would they have still joined the media? And for what: money, glamour, the need to have a livelihood and career? I pondered over these questions and then tried to locate journalists whose background was predominantly urban and middle class. The first such person I encountered was one whose perceptions were different from those who I had met. Do class, urban anonymity provide protection? Dalit identity and discrimination are perhaps mere footnotes in the life story of Sanghpriya Gautam, whose sartorial elegance, etiquette, and style of conversation could have you slot him with the swish crowd of urban Delhi. Son of a government official based in Delhi, he knew life for his family wasn’t always comfortable – his grandfather, after all, had retired as clerk from the Combined Defence Services canteen. No doubt, he had heard stories about the family’s hard days in the past. But then, as they say, seeing is believing, and what he didn’t experience he couldn’t consider it as his lot. Sanghpriya didn’t encounter caste biases in the Kendriya Vidyalaya he studied, and definitely not in Jawaharlal Nehru University from where he graduated in Russian. Yes, he was interested in social issues, but the primary motivation for him to take the IIMC entrance examination was to remain, as he said, close to JNU, which abuts the media institute. Don’t get him wrong, he wasn’t dreaming of a Communist revolution and waging war on Capitalism; he was besotted with JNU for its bewitchingly liberating ambience. Over the phone I had told him about Uniyal’s piece and he had googled it to read it, eager to critique it as soon as we sat in at Café Coffee Day on Tolstoy Marg. “Uniyal’s piece is outdated. Journalism is a passion-driven profession. Our motivations are now different. 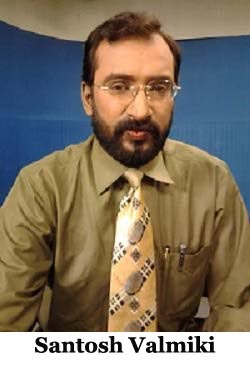 Economic liberalisation offers us new opportunities.” Sanghpriya lasted all of ten days in a premier national TV network, his spirit dampened by their definition of news, and has no regret for opting for another career as journalism wasn’t an obsession with him. The bustling city of Delhi may have embraced Sanghpriya with the warmth of egalitarianism, but it did not his batchmate, Naveen Kumar, who walks with a bounce, and has a touch of insouciance about him. His father is an engineer and Class I officer in Delhi, but because he was the first in the family to leapfrog into the middle class, he had to shoulder a disproportionate share of familial obligations – there was, for instance, family debts to be repaid. “It takes two-three generations for a family to become financially secure,” Naveen said to me as we sat sipping tea in a corner of Delhi’s Press Club. Perhaps the need to save every paisa, or because of the sense of entitlement, Naveen availed of the facility Kendriya Vidyalas extended to Dalits – they paid a monthly fee of Rs 25, against the Rs 200 others did. It caused much heartburn among students, who would ask loud and clear: why do they pay only Rs 25? Invariably, someone would snigger and answer: “They are Chura-Chamar and even Naveen is an SC”, singling him out because he dressed well. Deeply hurt, he complained to his father about the taunt he was constantly subjected to. Ignore them, his father said. Years later, while studying in an evening college affiliated to Delhi University, Naveen momentarily flattened the rigid social hierarchy through a relationship with an upper caste girl, who, horror upon horror, had earlier turned down the overtures of a boy from her community. The incensed Jat Sikh students picked a fight with Naveen, and issued a fatwa barring him from entering the college. He didn’t turn to his father for help. Instead, he complained to Delhi University’s Ambedkar Students Organisation (ASO), which threatened to invoke the Scheduled Caste and Tribes (Prevention of Atrocities) Act against the guilty students. The ban was promptly rescinded. A fiery ASO activist was born. From stage to stage he hopped delivering passionate speeches, and also harboured the wish to undertake a comparative study of Ambedkar and Gandhi. He cleared the Delhi University entrance examination for MA in philosophy, but found the classes conducted in English difficult to comprehend. He took the suggestion of a friend: “Take the IIMC examination,” the friend said, “you can continue your activism through journalism.” In 2007, Naveen entered IIMC. Caste sneaked in with him there as well. I turned to journalists from cities not counted among the five metros. Vipashana Kamble, today, works in Mumbai as a senior copy editor on the city desk of The Times of India, but much of her early life entailed skipping from Akola to Aurangabad to Kolhapur, where her father, a lawyer from Latur, was selected as a member (judge) of the industrial court. His selection changed her class, but not her caste identity, of which she and her brother were already aware of before they joined their father in Mumbai. You’d think cities in the Hindi heartland would bear severely on their Dalit residents. But then, providence provides protection against discrimination through inconceivable ways. Animesh Biswas belongs to Bengal’s Namashudra community, but he grew up in Kanpur, to where Indian Railways posted his father 20 years ago. In the perpetually simmering caste cauldron of Uttar Pradesh, Animesh was identified as a Bengali. He was not deemed to have a caste. Munching on a plate of crisp honey potato in a Chinese restaurant at Connaught Place, Animesh said he didn’t encounter discrimination in school, in Delhi’s Hans Raj College or IIMC. He spoke of his Scheduled Caste background at a decibel audible to others at adjoining tables, in contrast to some who chose to converse in a low voice at public places. Not one instance of discrimination, I asked to jog his memory. He laughed and said, “Only now. When I respond to ads under the category of Caste No Bar on Shaadi.com and tell them about my Namashudra background, communication ceases at once.” He said he took the IIMC examination because he thought his BA degree in history would be a useful resource for media studies. 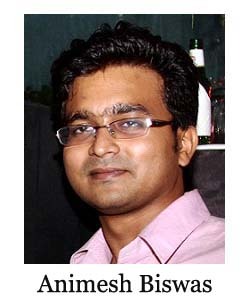 A few years later, though, Animesh was to veer away on a course different from journalism. The ten stories you have read so far can’t be extrapolated to build a theory. Nevertheless, Dalits who experienced caste-based discrimination and oppression in its more severe forms were inclined to view the media as a tool of resistance or reform, as against those whose Dalit identity was built predominantly upon the narratives of elders. The latter tended to view the media as the site for building a professional career. The vital role parents play in how a person constructs his or her idea of self inspires some Dalits livingin a metropolis to emphasise on the class rather than the caste identity..
Divya lives in a typical middle class colony. Typically too, neighbours bicker and engage in arguments there. When Divya was in Class X, her mother and their neighbour had an argument, and as neither relented, it turned into a nasty quarrel. Upset, Divya’s mother remarked aloud, “They only have to find an excuse to trouble us.” It seemed an irrational statement to Divya, who ticked off her Mom: why would you say that? Perhaps discerning the tone of disapproval in her daughter’s voice, she spilled out the truth, upset and angry as she was. “Because we are Scheduled Caste,” said the mother. This statement had Divya reeling under shock. Her initial response was: why didn’t you tell me earlier? Later, Divya began to join what she called “the dots in my life.” There were children of her age in the colony who had been averse to befriending her. To her mother, Divya said, “All my life I thought there was something wrong with me. But now I know it was all because of my caste.” Subsequently, Divya’s father lectured her on the grating intricacies of the caste system, the status of Dalits, and the philosophy of reservation. She grasped the crash course on caste, but she also took a decision – she would reveal her caste to only those whom she considered her true friends. “Why should I tell them who I am and have them judge me from the stereotype they have inherited from their parents,” she told me in the Barista coffee shop in Defence Colony. She stuck to this decision in a prestigious Delhi college, from where she graduated in journalism, which she had opted for at the suggestion of her father. Ironically, during her stint in the English media, which dons the garb of liberalism and modernity with elan, her boss became obsessed about identifying her social coordinates through questions she found distressing. 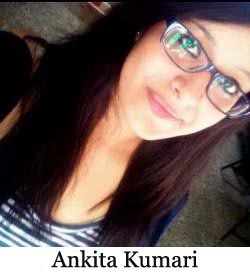 Belated discovery of her Dalit identity was also the case with Ankita Kumar, who did her diploma from IIMC in English in 2011 and now handles the social media account of an insurance company. Both her parents are Air India executives. Perhaps they did not want caste to wriggle into their middle class existence, or perhaps they were waiting to tell Ankita the truth at the time it was absolutely necessary – for instance, before she was to seek college admission that requires those applying for seats in the reserved category to submit caste certificates. It was Ankita’s cousin who told her who she was. It numbed her with fright. Discussions on caste would freeze her into silence, as these invariably reminded her about the identity she had kept secret from others. When questioned by her friends about her caste, Ankita would stonewall them, “The only thing I know is that I am from Uttar Pradesh.” Ankita didn’t want to own up to her identity because she was apprehensive of losing her friends, believing they wouldn’t want to associate with Dalits. So then, why did she agree to interact with me? She said her worldview had changed. “I am dating a Pandit, a ‘high caste’ boy according to society,” she wrote to me, choosing to interact over the email as she said she would feel uncomfortable answering my questions in a face-to-face meeting. “He loves me deeply. My caste doesn’t matter to him. I guess this explains my confidence,” Ankita explained. For a person who hadn’t glimpsed the menacing visage of caste, other than the anxiety her cousin induced in her through his revelation, it wasn’t surprising she chose to join IIMC because it was what others around her too were doing. It is also paradoxical that affirmative measures for Dalits can shatter the comfortable anonymity city-life offers them, and lead to their stigmatisation. Earlier, as we have seen, Naveen Kumar’s first brush with caste prejudices was because of the concessional school fees he paid. In some ways, it was the also the experience of D Karthikeyan, The Hindu’s principal correspondent in Madurai. Born in a remote village of Kanyakumari district, he shifted to Coimbatore, where he went to a government-aided Christian school. He knew he was Dalit, but not what it symbolised to others. This knowledge seeped into him every time the office clerk called out the “names under the SC list” for collecting scholarships. This differential treatment, meted out insensitively, made him feel “bad”, as it did other Dalit students. Affirmative measures for Dalits can shatter the comfortable anonymity city-life offers them, and lead to their stigmatisation. Over the years, Karthikeyan read Periyar and Ambedkar and organised students to fight for their rights on caste basis. He subsequently went to the Centre for the Studies in Social Sciences, Calcutta, to pursue his M.Phil, where to him was underscored the importance of participating in the intellectual sphere. Unable to secure a fellowship for PhD in the London School of Economics, he entered journalism, going on to hunt stories pertaining to the Dalit issue for his newspaper. Ultimately, as the example of Karthikeyan demonstrates, what you make of what happens to you – ranging from the unbearable to the terrible to the insignificant – also depends, perhaps crucially, on the sensibilities of the individual, whether he or she struggles for their rights or merges into the quiescent mass. Remember some of these people mentioned here. They are going to pop in and out in subsequent sections. As schoolteacher, he was beaten up by upper castes. He works as assistant producer, Total TV. Clerk’s son, upper caste colleagues didn’t want to live with him. He publishes and editsDalit Dastak, a monthly. Mother, sister evicted from temple, experienced caste biases in the media. Now withHindustan. His uncle was killed, and he was picked up under TADA. Columnist with Telugu newspapers, founded Dalit Study Centre. Helped father collect evidence against untouchability, he is now Input editor, V6 News, Hyderabad. A JNU student; never faced discrimination. He left a premier TV channel to join PR. Barred from a Delhi college on account of caste, in media taunted for his caste, he is now in a Hindi daily. Daughter of an industrial court judge, she is now a senior copy editor, The Times of India, Mumbai. Grew up in Uttar Pradesh, he never faced discrimination. Left journalism for PR. Discovered she was Dalit late in life, she worked in a Delhi newspaper for two years Wants to go for higher studies. Discovered her caste late, she hid her identity from friends. She currently handles a social media account of an insurance firm. Felt bad when his name would be announced for SC scholarship in school. 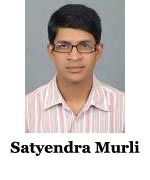 He’s now the principal correspondent, The Hindu, Madurai. When parliament in session one more dalit in day light murdered publically. No Parliamentarian raised the issue. I request yous to kindly undertake the matter and bring justice to the dalit community. THere is no fear of law in the country, Harayana,UP, MP & TN all these state in recent time seen dalit atrocities the SC/ST Commission sitting and just watching, I dont now how many people have been punished on yearly basis under SC/ST Act. I request all Journalist to high light all the dalit murder cases in last two years. Make the authorities accountable.